While I was neglecting this site, I was still watching a lot of movies. Here's proof. * Before Midnight, the latest in the ongoing relationship series is its deepest and most emotionally fraught, and quite easily the best. Once again starring Ethan Hawke and Julie Delpy, directed by Richard Linklater. * The Bling Ring, the latest from Sofia Coppola, telling a tale of disaffected Bonnies and their tagalong Clyde. * Byzantium, Neil Jordan's all-too-serious return to the vampire genre. * Dirty Wars, a documentary about the covert strikes happening outside the approved combat zones in the War on Teror. * Man of Steel, is neither worth loving or hating. It's boring and fun and long and loud and dazzling and doltish all at the same time. * Monsters University, a Pixar prequel that's funny, if not as fresh as the original. * Much Ado About Nothing, Joss Whedon's backyard retelling of the Bard. * Some Girl(s), starring Adam Brody as a writer lacking in self-awareness taking a tour of his old flames. From a script by Neil LaBute. * June 14: French animation gets arty in The Painting; Disney's Pete's Dragon flies back to the big screen; and a life re-examined in Long Distance Revolutionary: A Journey with Mumia Abu-Jamal. * June 21: Another visit with Andre Gregory in Before and After Dinner, the nuclear power doc Pandora's Promise, and a sleazy Italian slasher flick from 1973, Torso. * June 28: the dark Australian comedy 100 Bloody Acres; Doin' it in the Park's wild history of NYC pick-up basketball; and a revival of the classic Grant/Hepburn crime/romance hybrid Charade. * Broadway Musicals: A Jewish Legacy, documenting the history of the great Jewish songwriters of the American stage. * First Family, a tepid 1980 White House satire from writer/director Buck Henry and star Bob Newhart that lacks any political bite. * Free Radicals: A History of Experimental Film, a worthy introduction to the more abstract side of cinema. * The Great Gatsby: Midnight in Manhattan, a short BBC documentary about F. Scott Fitzgerald and his best-known novel. Bonus: a 1975 teleplay with David Hemmings as the author. 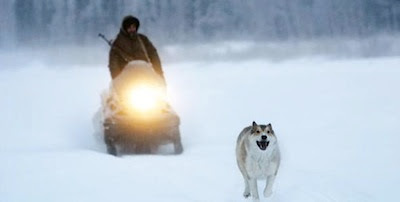 * Happy People: A Year in the Taiga, Werner Herzog's refashioning of a longer documentary looking at the life of fur trappers in Siberia. * The Key, a dark wartime drama from Carol Reed. With William Holden and Sophia Loren. * A Night to Remember, a screwball mystery with Loretta Young, released in 1942. * Second-Hand Hearts, a romantic flop that kicked off the '80s for Hal Ashby. * Whoopee! A good-time musical with Eddie Cantor. Two-strip Technicolar from 1930!